Congratulations on choosing to receive such radical plant-support in your life! Remember: My member number is 13648964. You'll use this to sign up. Select your desired starter kit. 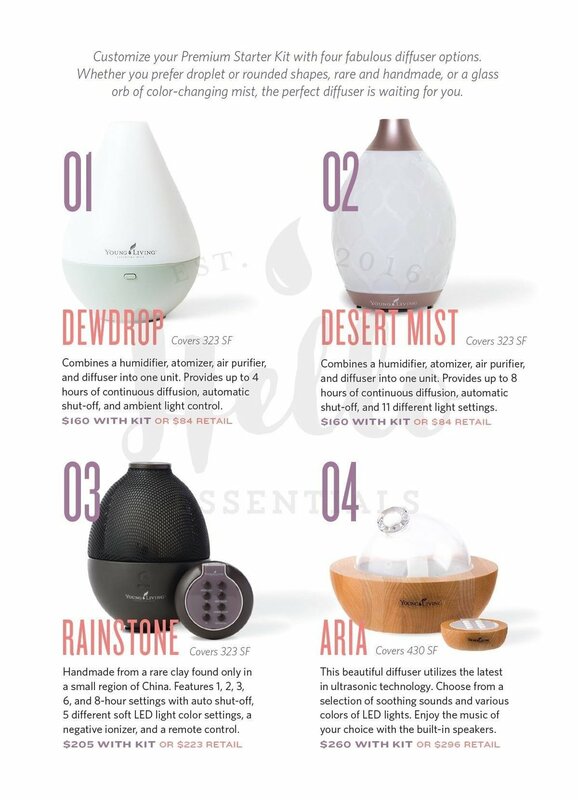 If you’re choosing the Premium Starter Kit, choose your desired diffuser. 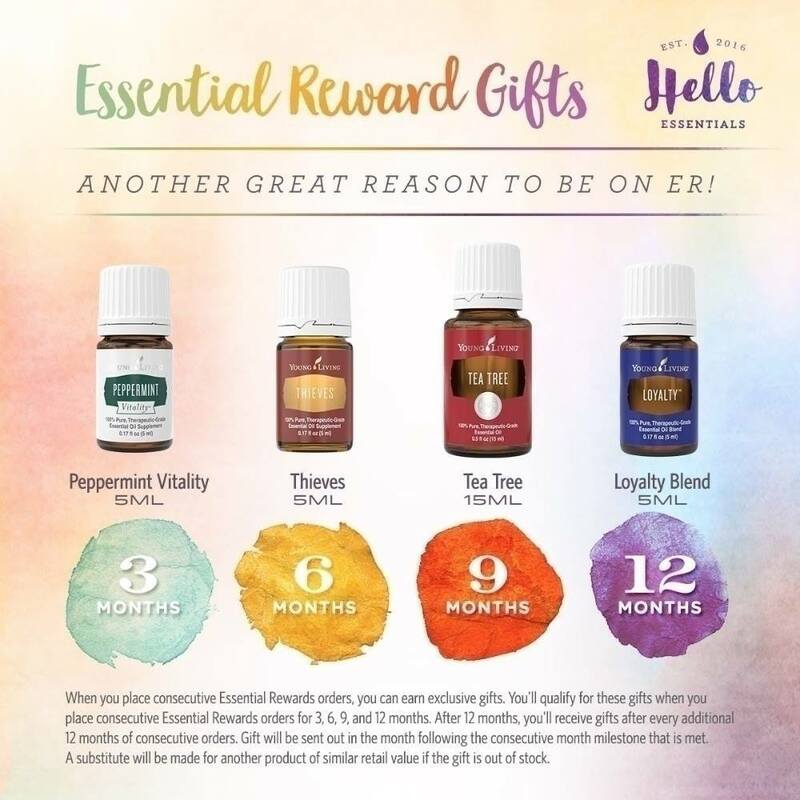 Essential Rewards is a HUGE perk of being a Young Living member. Think of it like your monthly 100% customized wellness box! If you have extra oils and products outside of the kit that you’ve had your eye on, add it here with a custom ER order and you’ll get points back for free stuff. Essential Rewards (ER) gives you 10-25% PV back as credit that you can use for future purchases! The longer you're enrolled in ER, the higher percentage back you receive. It's basically like free oils. Plus you get reduced shipping and other free promo bonuses each month when you're enrolled in ER. The only thing you need to do is to order at least 50PV monthly (about $50) to qualify for this perk. At any time, you can cancel, change your order processing date, and change the contents of your order. I suggest ordering Thieves aromabright toothpaste, Valor (essential oil blend), and any of the soaps (bar soap, dish soap, dishwasher, laundry, etc). These are staples in my home! If you choose to be a “plant advocate” and introduce others to essential oils, you can input commission processing information. Otherwise, you can leave that space blank. After that, you are complete with the order process.